If you've been keeping up with the news the last few days, more than 1.5 million people have been ordered to evacuate coastal areas of North Carolina and South Carolina in preparation for Hurricane Florence. (2) Depending on its track, other areas in Virginia could also be in danger of life-threatening storm surge, freshwater flooding and damaging hurricane-force winds. As illustrated in our blog late last year, backup power turned out to be very important during the wildfire outbreak in Southern California, a wildfire that scorched 230,000 acres of land in mid-December. The fires left thousands of homes and businesses without power, including commercial power outages at important telecommunication sites in the region. Having backup power systems on-hand that are ready for immediate deployment is crucial when initial power is lost. It can be the difference between your infrastructures being down for a short-period of time or a long-period of time. Backup telecom power systems are vital to any infrastructure. For many industries, it is mission-critical to have a backup generator in a potential scenario where the city’s power grid fails or if your alternative energy sources are temporarily down. For many industries, it is mission-critical to have a backup generator in a potential scenario where power loss is unavoidable. While you cannot completely reduce the risk of being affected by a storm-related power outage, backup power can keep your home and family safe. The most important home appliance that a standby generator will power during severe weather is your basement sump pump, reducing risk of water damage to your home. If a storm causes power outages during a time of during extreme heat or cold, backup power will also be able to keep your furnace or air conditioners functioning properly. When emergency situations arise with unpredictable weather elements, having a quick response time is key to getting your vital power or telecommunications equipment back online. 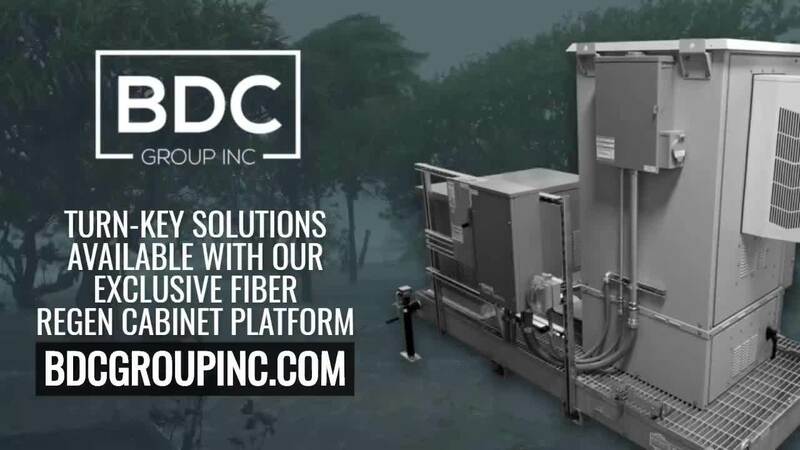 BDC Group, Inc has engineered an exclusive high-grade steel platform that is capable of housing equipment such as generators, telecom cabinets for protected storage of backup battery power/rectifiers and more. Ready to talk? Setup a time to talk with our Project Managers for a free consultation on how you can deploy emergency backup power systems in the field! These steel platforms can be customized, mounted virtually anywhere and transported quickly to anywhere in the nation. We assemble and test all aspects of the platform in our factory before delivery. These platforms are ideal for emergency situations, like wildfires, that may require certain forms of backup power or power regeneration. BDC Group can also provide generators in a variety of sizes and fuel types including diesel, LP and natural gas. Setup a free consultation with one of our project managers to assess your current lead times for areas of opportunity and how we can customize a telecom solution for you!